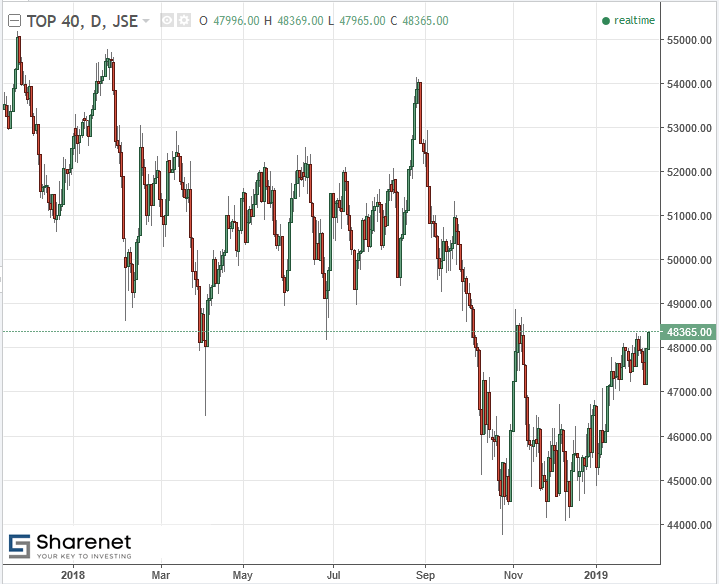 Green-shoots talk in the press is making a comeback and even the JSE Index is looking perky with better than 10% gains since the October 2018 lows. But this rise in optimism and stirring of the animal spirits is yet to show up in any leading indicators that matter. Let’s start with the economy. As we stated in a communication to Analytics clients last month, "There is no slapping any lipstick on this pig. It’s just plain darn ugly. 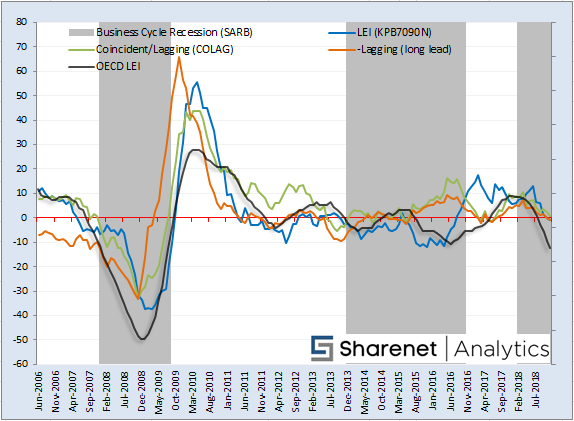 Every conceivable composite leading indicator pointing down". 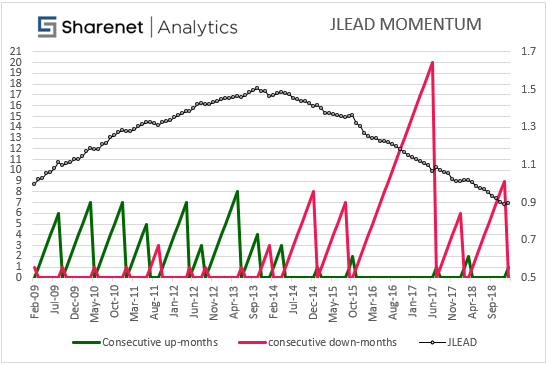 The JLEAD has posted a welcome rise in January (a rare event for the last 3 years), assisted by the recent reporting season where the percentage of JSE shares raising earnings and dividends bounced nicely and a very brave but weak improvement in market breadth was seen. 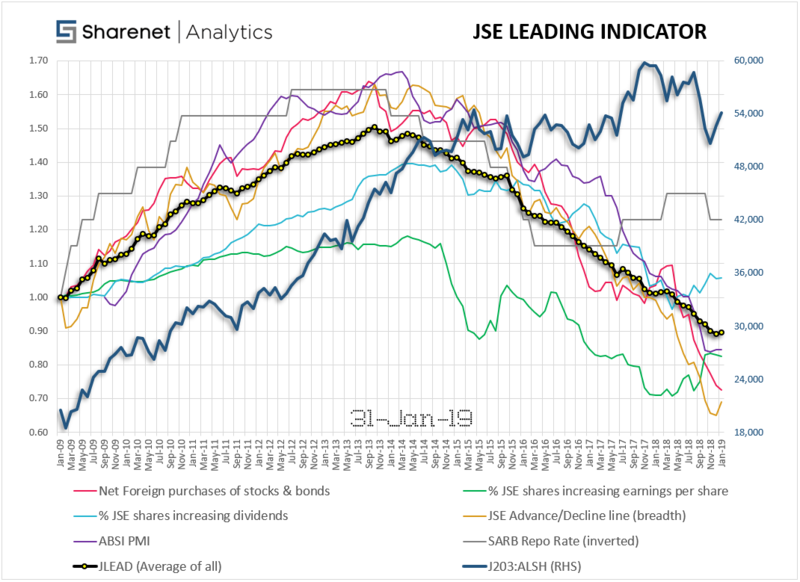 But caution is advised here, as breadth needs to follow through, the ABSA PMI is at a crossroads, net foreign sellers of our stocks and government bonds are still rampant as investors remain not entirely convinced by our government’s intentions and the interest rate environment (hiking cycle) remains a major traditional stock-market headwind. 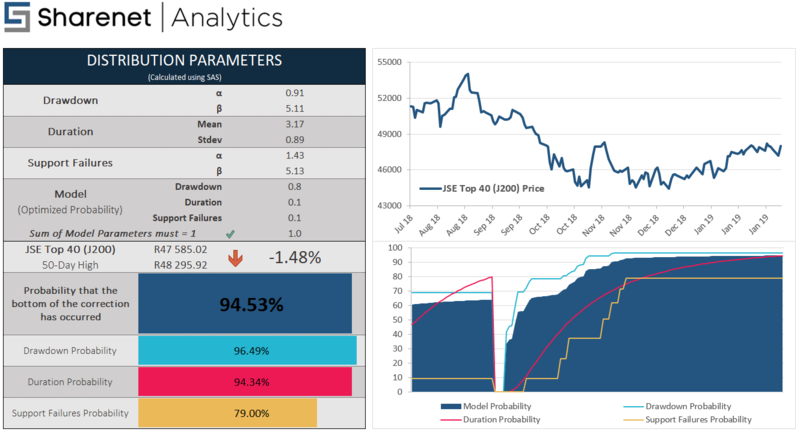 In early January we followed up with another subscriber alert when our multifactor probability model stated that the odds that we have witnessed the bottom of this correction reached over 94%. That meant that according to the long-term multi-decade record of past correction (1) drawdown sizes, (2) durations and (3) loss of confidence intensity that in only 6% of cases did things get worse than at the J200 43,771 bottom we witnessed on 25th October 2018. 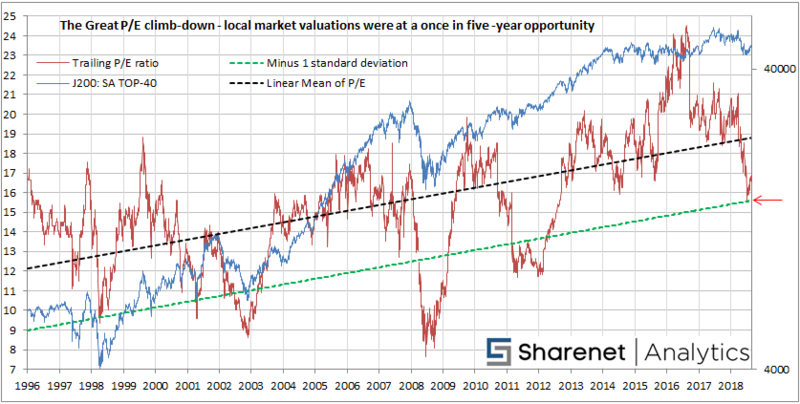 So, this means that if you have some good analytics or a great dealing desk with great brokers, or a really good investments team, you should be able to be picking up high-grade investment quality local shares in the right sectors at attractive low-risk prices. You can just tick the "I am interested in" section in the newsletter subscription form below and our team of seasoned professionals can connect you to world-class analytics or brokers or even to our dedicated Analytics Dealing Desk.